Secret Nightlight – Secret Wood Inc.
A customizable and interchangeable art curiosity. The Secret Nightlight is a customizable and interchangeable art curiosity. 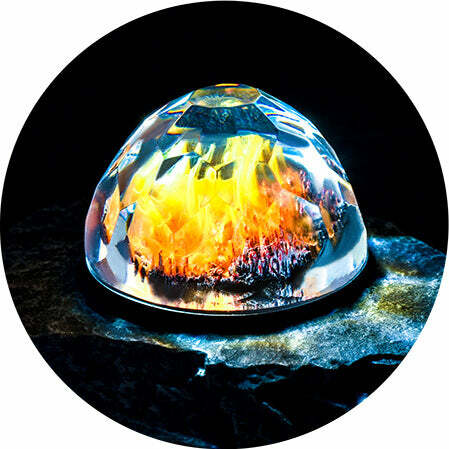 The base is made of resin cast from a local stone and used as the foundation for five different encapsulated worlds. 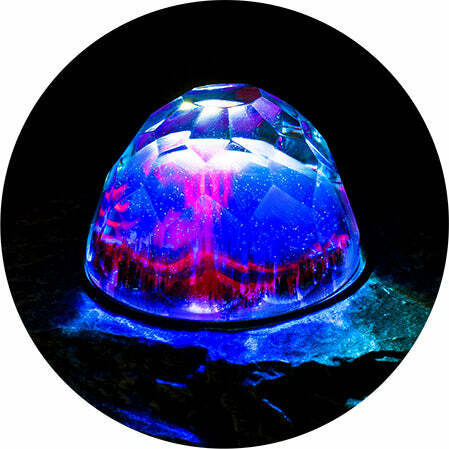 A smooth dome contains each world which is then housed within an outer faceted shell - a world encapsulated! A powerful LED light is integrated in the design illuminating the landscape. It is charged using a USB port. The light can remain illuminated for up to one week on a single full charge. Light functions are switched on or off using touch features. Add different worlds to your collection to create a unique and interchangeable artful nightlight! All Secret Nightlights are hand-crafted in our Vancouver studio. Nightlights include a USB charging cable. From the first ray of Sun in the morning to the glowing nightlight in the evening, light accompanies us in all activities. It is a constant source of energy for the Earth and our bodies. It can provide us with a sense of security and comfort. It can also be one of the most beautiful sights! The enchanting landscapes we aim to depict would be nothing without light. We wanted to combine the beauty and importance of light with our secret worlds creating the Secret Nightlight. 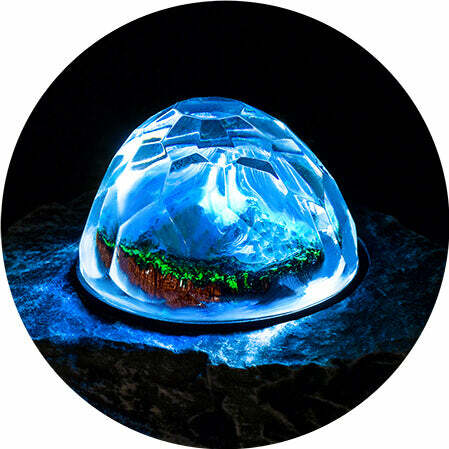 Light up your life with a magical encapsulated world from Secret Wood! Exclusive pre-order price packages will be offered for 40 days or until crafting capacity is reached. Once the pre-order is complete, the Secret Nightlight will be sold on our website at regular price. Don't miss your chance to brighten up your space this beautiful and magical piece. There are so many beautiful aspects of the natural world to take inspiration from. Much like our rings and pendant, our Secret Nightlight is inspired by both Vancouver and Canada. A blend of ethereal fantasy elements grounded on Canadian natural landscapes shape the content of our creations. 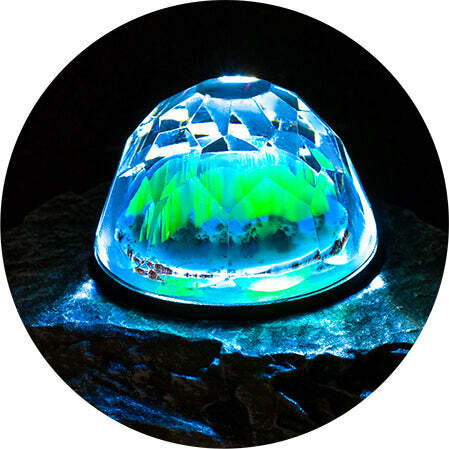 We are offering five different encapsulated worlds all inspired by the natural world. Create a combination that reflects your unique style and personality. Set is Ready - Please add to cart! This removable world attaches to the nightlight base. Please Note: Your set includes a base.